It all begins with a beautiful campus, outstanding programs and generous scholarships and financial aid. Your options for involvement are many, from the championship Debate Team and diverse volunteer opportunities to the Greek system, Athletics Program and a wonderful Recreational Sports Center- complete with an indoor swimming pool! LSUS also offers a vibrant student newspaper, The Almagest, and is home to an Olympic Weightlifting Center. 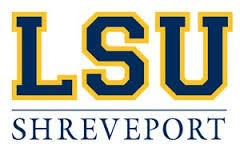 Since opening its classrooms to students in 1967, LSUS has become the regional urban comprehensive university in the Shreveport-Bossier metropolitan area. Anchored along the picturesque Red River in southeast Shreveport, the beautifully landscaped LSUS campus serves as home to approximately 4,500 students. LSUS has more than 25 undergraduate degree programs and a dozen master's degree programs. The highly trained faculty is outstanding, with 80% holding doctoral degrees in their discipline. In addition, the student-teacher ratio is one of the lowest in the State, lending to individualized instruction and personalized learning. Named by the U.S. Department of Education as one of the most affordable colleges in Louisiana, LSU Shreveport offers high quality classroom instruction with very affordable tuition rates. In addition, LSUS offers many forms of financial aid, including scholarships, on-campus employment, and graduate assistantships. Finances don't have to stop you from achieving your goals of a high quality education.